Cosmetic Executive Women, Inc. (CEW) is a nonprofit, professional organization with more than 9,500 members globally, both men and women, from over 2,250 companies in the beauty and related industries. CEW brings the beauty community together, at every stage of their careers, from every facet of the industry. 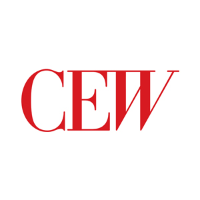 CEW leads the conversation in beauty, addressing topics that are shaping the future of the industry and provides unparalleled access to industry influencers and thought leaders. CEW provides the connections, tools and leadership development resources to move careers forward. CEW recognizes professional achievement and innovation in the industry to inspire the next generation of leaders. CEW is based in New York City, and also hosts events for the beauty community in Los Angeles. Additionally, CEW has associated organizations in France and the United Kingdom. The CEW Foundation supports Cancer and Careers, a resource for employees balancing work and cancer treatment. For more information, visit cew.org.